I must admit this Saturday was a lazy Saturday! I’ve been fighting off a cold this week that I must have picked up from Las Vegas. I have been stuffy, coughing, sore throat and hard to breath. So needles to say I will be resting this weekend!! I wanted to go for a hike and do lots of cooking but I haven’t done a thing. I should get my rest since I have another busy week ahead of me. Monday – Three Pepper Roasted Hummus – As we speak I am nibbling on what I have left of my Hummus. 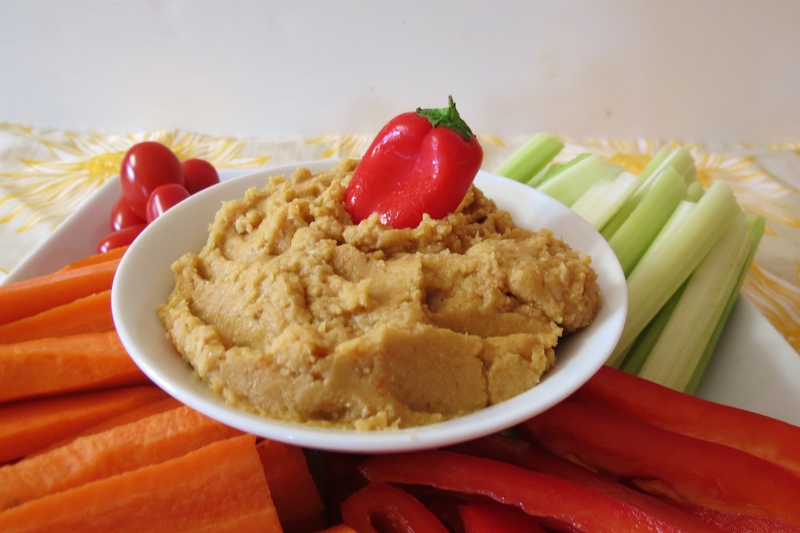 This is a good, thick healthy hummus that I will be sure to make again!! 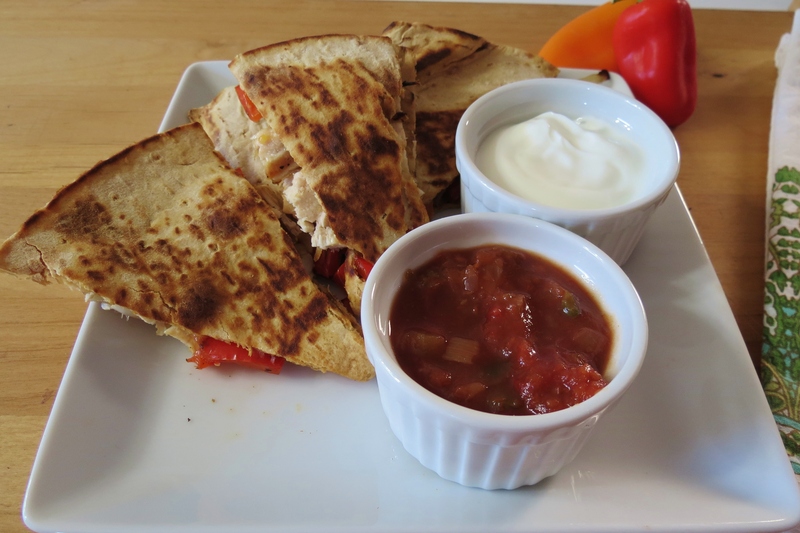 Tuesday – Chicken Fajita Quesadilla – This is my go to in a pinch dinner. I love it! I have to admit it’s one of my favorite meals. 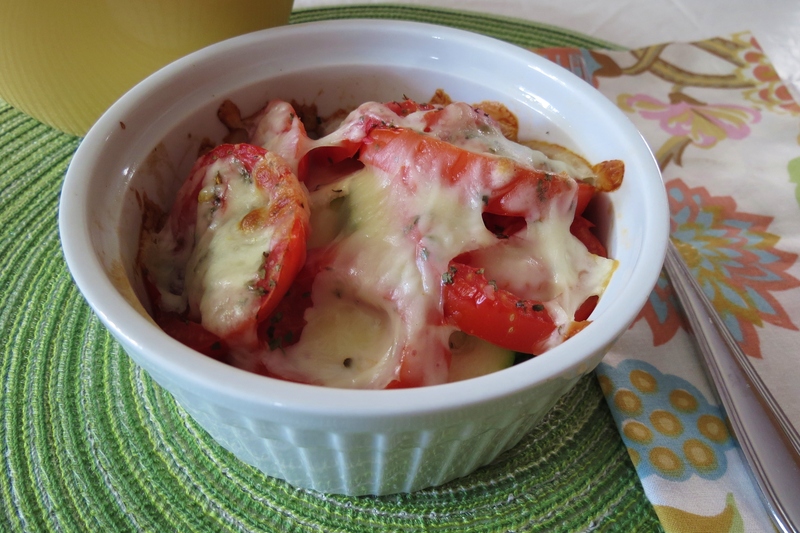 Wednesday – Tomato and Zucchini Bake – This makes for a wonderful side dish to accompany almost any meal. Even my Husband liked it, but it could be because I added some pepperoni to his. 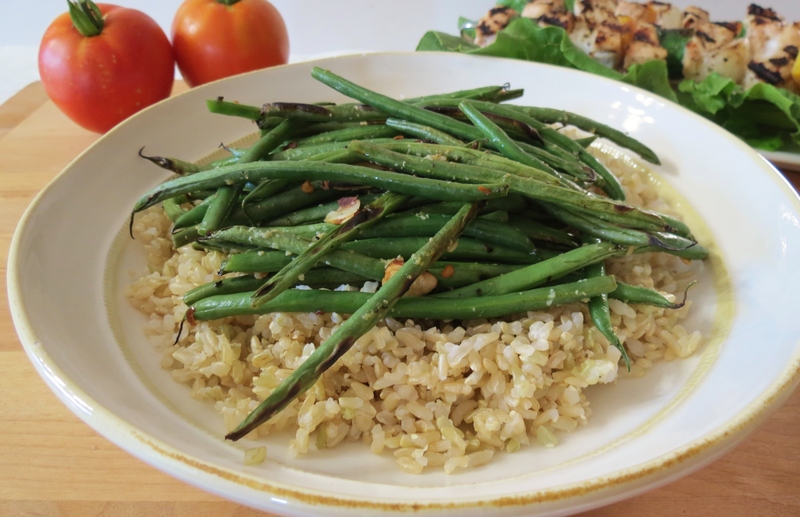 Thursday – Grilled Haricot Very French Green Beans with Slivered Almonds – Boy the name of this recipe is a mouthful! This was the first time I ever grilled beans and I just love it! It added a little different flavor to them. This dish accompanied my Chicken Shish Kabobs. 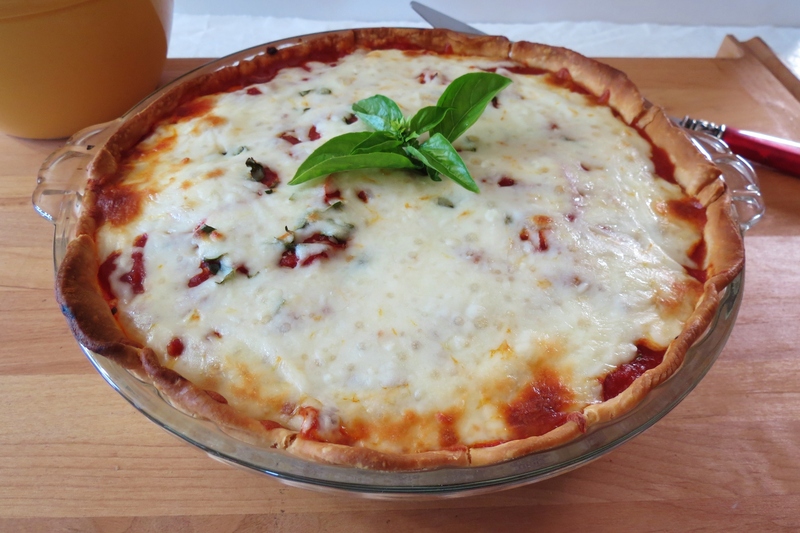 Friday – Tomato Pizza Pie – This meal quite surprised me! The flavor was unbelievable and I can’t believe my Husband loved it! We ate the whole pie for dinner, so worth it!! I can’t wait to make this again!! After looking back at this weeks recipes, I sure was pretty good on my eating habits. But I’m thinking I need a sweet dessert to make. Any recommendations on what I should make that I can try to make a little more healthier? Any cookies, muffins or cakes? Just let me know!! Well my Pretties, that’s all I have for you today! But this week I have a bunch of new recipes, for which I plan on making soon so I can share them with you! Have a wonderful rest of the weekend and a great week! Hi Chris! It must be this time of year for colds. Hope you feel better! Mine starting to go away, except for this pesky cough! I’ll be making a ‘scrap pie’ with peaches and blackberries for dessert tonight. It’s not in the actual shape of a pie, nor do you use a pie dish. 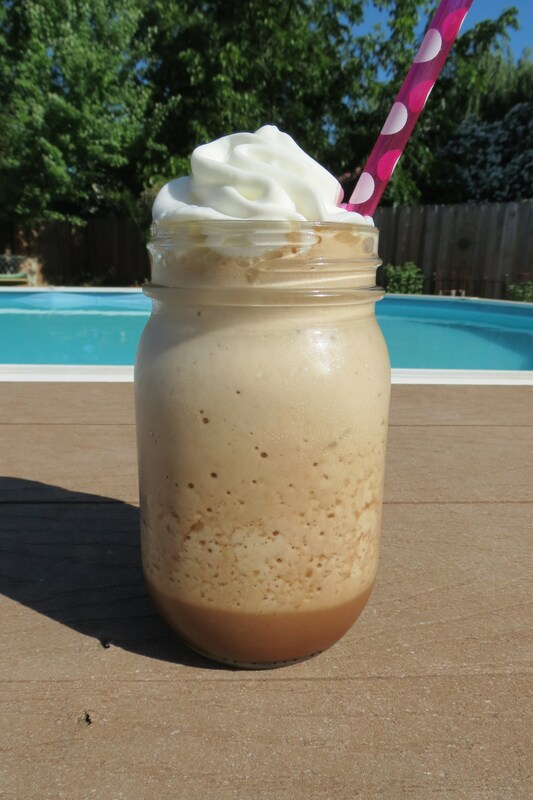 It’s pretty simple and tastes delicious!! some people call them a Galette, I think that’s the name anyways! Samantha, that sounds delicious!! I always wanted to make a Galette, but never got a round to it!! Let me know how it turns out for you! I just have to make that! You had a delicious week, Jen! Hope you feel better soon. lol Liz! Your desserts are all beautiful and well worth the calories!! Hope you feel better quick. And I love how you got your husband to eat his veggies. 😉 haha. Thanks Christine! I’m feeling a little better today, just can’t shake the cough! Everything you made looks fab! I am really drooling about that pizza pie! Thanks Kammie, me too!! This pesky cold won’t go away!! I found your blog while reading another one ‘Sweet Tooth Sweet Life’ and I was impressed with what I found. Your story is so inspiring! 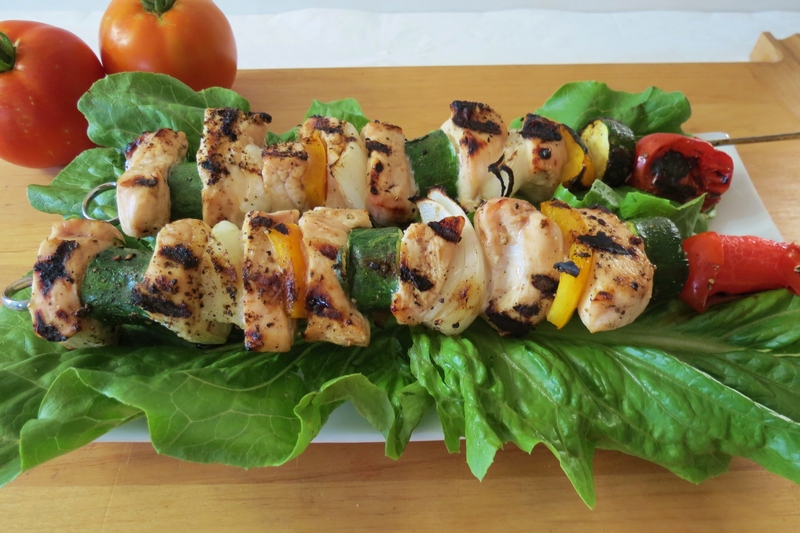 I also love the picture of the Kabob’s! They look so delicious! I love Sweet Tooth Sweet life, Courtney is so inspiring!! Glad you found me, stop back anytime! !